This bike is one of a mated pair. The other one is white. They came from a gentleman in Seattle, WA, USA. These were his parents bikes. 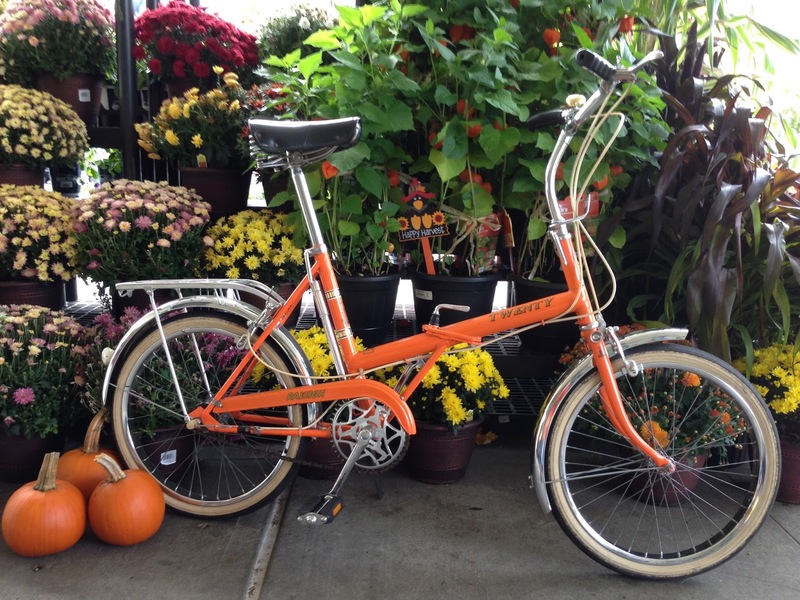 They were purchased in 1974 in Seattle and used only for the proverbial "Sunday Ride." His parents traveled to Vancouver, BC a few times and the bikes served them well spinning around Stanley Park. They were put into storage about a year later, dry, warm basement, completely covered in sheets. They sat there until 2014. My seller had the unenviable job of going through his parents things after they had passed. These bikes were among the things he needed to move on. He was very reticent about selling them, but I was able to convince him that they would be going to a very good home. I have preserved these bikes as-is and have not changed a single thing on them. My wife and I continue the tradition of riding them in the summer around Alki Beach here in Seattle. After the ride, they are lubed, cleaned and put away for the winter in dry, warm storage. They are special ones, and I hope I honor them well.